The Simpsons is a series that is full of various caricature characters, and Comic Book Guy (Jeffrey “Jeff” Albertson) is one of these characters. The Simpsons is a series that is full of various caricature characters, and Comic Book Guy (Jeffrey “Jeff” Albertson) is one of these characters. He is the owner of a comic book store called “The Android’s Dungeon & Baseball Card Shop” and is known for his sarcastic jokes. He has a scientific degree in mythology and folklore, as well as a diploma in chemistry. 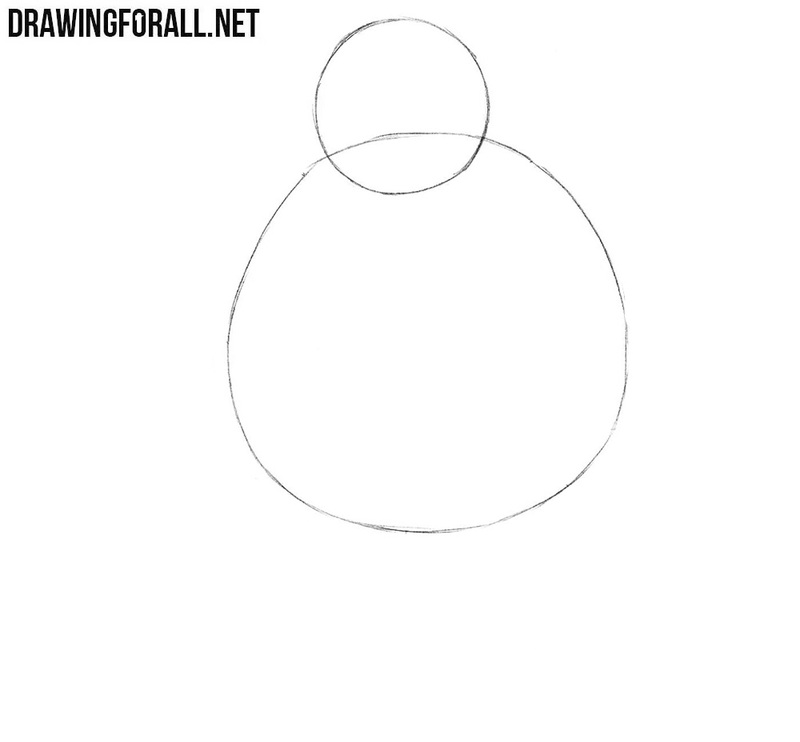 The drawing lesson on starts with two circles – one for the head and the other for the torso. 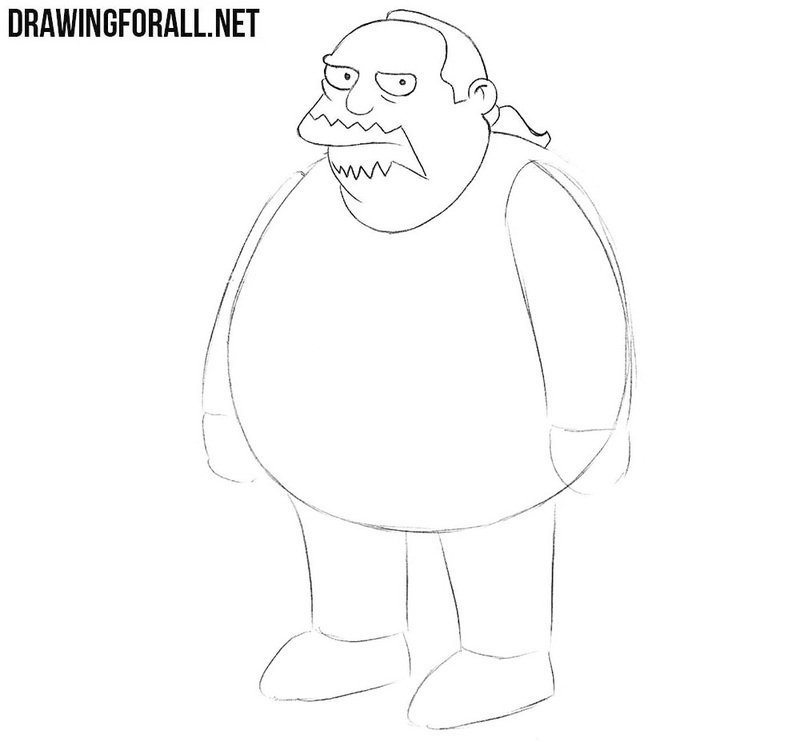 In the second step of this lesson, we will outline the arms and legs of Comic Book Guy. Now let’s take care of the details. 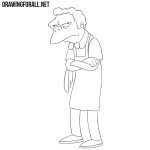 Draw out the nose, semi-circular eyes and pupils inside them. Under the eyes draw out wrinkles with the help of short strokes and outlines of the mouth as in our example. Now go to the top of the head and draw the forehead and the outlines of the hairstyle. 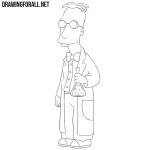 Draw the ear and the lines inside the ear. 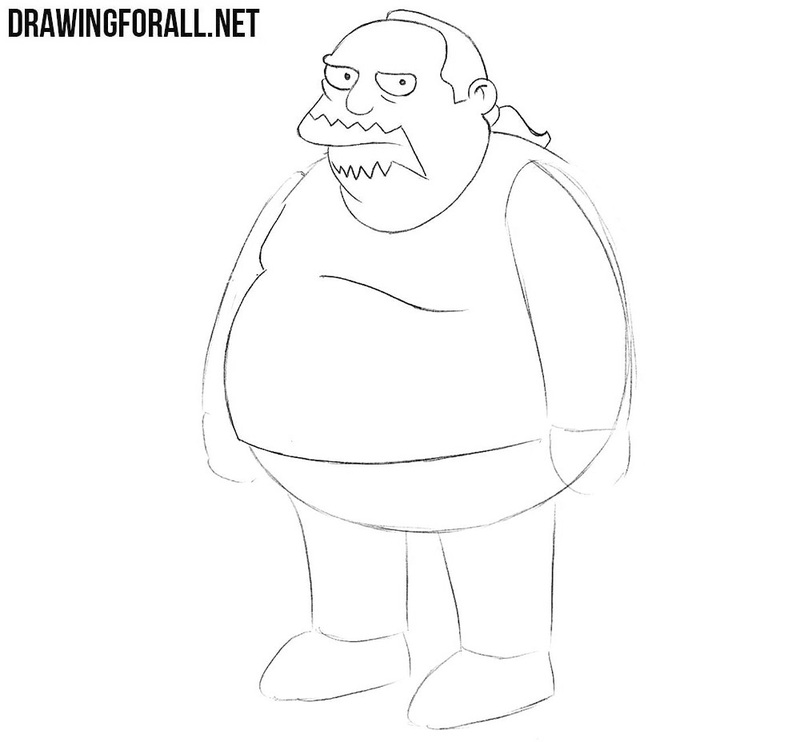 Draw a chin, a neckline and a zig zag beard. At the end of the step, draw the tail behind the head. Now go to the torso, carefully drawing out the outlines of the chest and a large rounded belly. Let’s move on to the arms now. Carefully draw out the outlines of the rounded shoulders, short sleeves and arms. 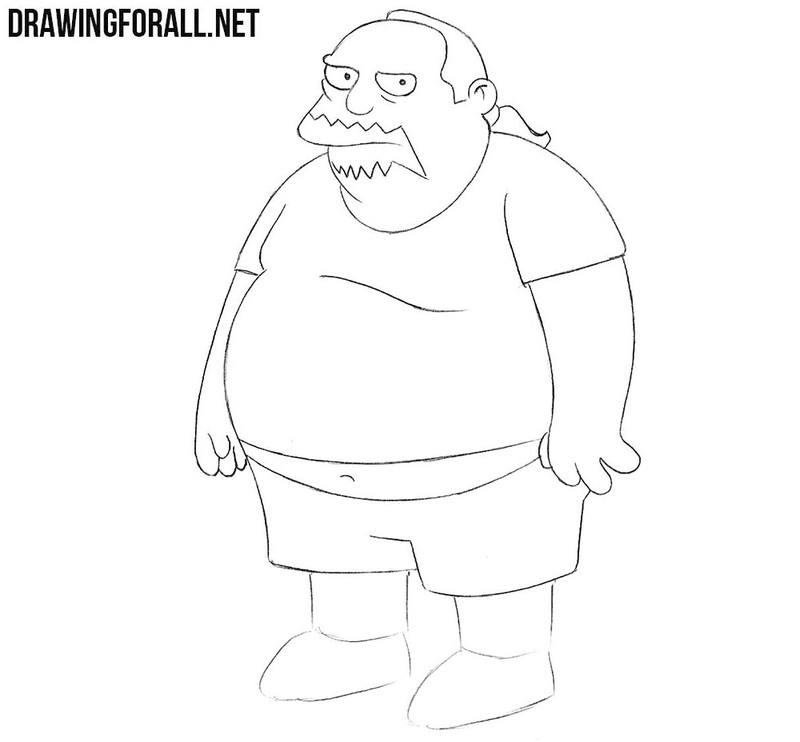 Draw the lower part of the abdomen, sticking out from under the T-shirt. Then draw the shorts and the navel on the abdomen. And in the last step we traditionally draw the legs and shoes of our character. 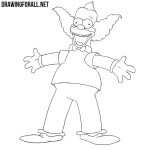 Of course this is not our only lesson about the Simpson characters. In order to learn how to draw all the other characters from this and other animated series, visit our category called “Cartoons”, and in order not to miss our new tutorials, subscribe to us and visit DrawingForAll as often as possible.